Aliceson is a very good modern artist. She is also my sister. See http://www.aliceson.co.uk/ for work by her. Margate with a bit of art would be a great day out. For this flyer she wanted the image and some fairground type for the (a)musements logo. I wanted to make the flyer look like an old film title sequence; Aliceson’s work usually involves film in some way. 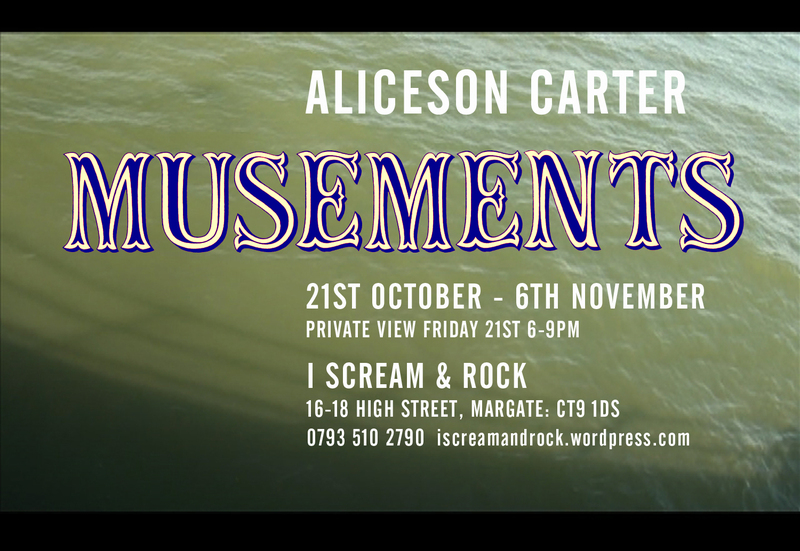 This entry was posted in Press and tagged Aliceson Carter, art flyer, I scream and rock, margate, musements. Bookmark the permalink.